I started thinking about Dinner parties. My mom and I were discussing how nice it is when you find a group of people who you can have the craziest time with while just having dinner at someone's house. And I started thinking about who I would invite if I were to only invite celebrities. Any kind of celebrity in the whole world... and I came up with a list of 15...so if this were to happen, I'd have to get a bigger dining table. what will hopefully make it interesting: why. 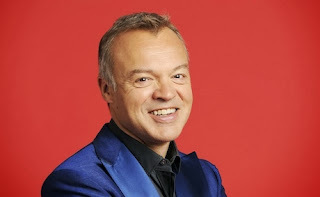 I would pick Graham Norton as my co-host. I am a massive fan of awkward humour, but at the same time I hate feeling awkward. And he would make me forget the bad things of anything awkward by making me laugh hysterically at the good things. He's a british comedian and host of a late-night talk show, and he's so funny in that delightful British way. 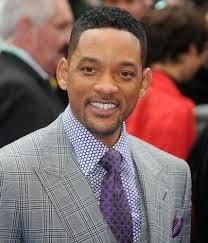 And someone who I think has a buuunch of stories to share is Will Smith. He is no doubt one of the funniest men in Hollywood and meeting him would for sure make my life. You can just tell that he's one of those genuine people who really just wants to smile and make people smile. 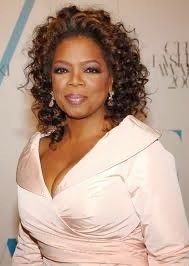 Thirdly, I'd have Oprah Winfrey as my guest. I would love to meet her and talk to her, I feel like she would help me figure out my life, which would be fantastic. She would take control of the dinner with her crazy interview-skills and keep things in relative order. 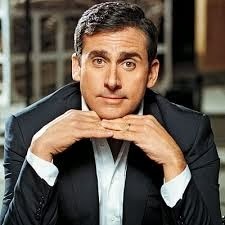 Steve Carell would also be on the list. Fun fact about me? He's probably my favorite actor and comedian. I mean look at him? Everyone else I googled I found nice red carpet picture, but his? Only funny ones. From 40 year old Virgin to Despicable Me he could be the funniest person ever. Spread out through the guests I'd have the Cast of Friends come too. There will never be another TV show where you could re-watch every episode a hundred times and still not be sick of it. I love this show and since it was made over 10 years, I'm guessing the cast has pretty good chemistry and would bring that mood to the table. The youngest (besides me) person I'd have would be Emma Stone. She reminds me SO much of an old friend from London and I wonder if she's actually like that in real life. I'm just curious about that really. A gorgeous and funny girl. On a completely different note, I'd have Karl Pilkington. 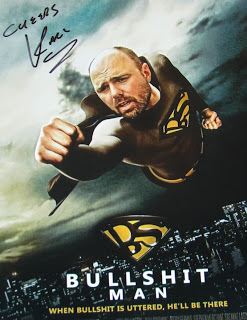 For those of you who haven't heard of him, he's Ricky Gervais best friend who is the star of the show Ricky made called "An Idiot Abroad". Basically the first season is about Karl seeing the 7 wonders of the world. Thats it. It just films him experiencing the weirdness of the world and how he reacts to it. It's comedic genius and I couldn't recommend the series enough, please watch it! 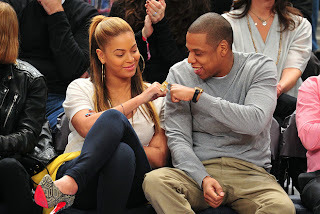 Two people who are (I assume at least) a bit different from Karl, are the biggest, bestest, beautifulest celebrity couple: Beyoncé and Jay-Z. Like I've posted before I'm a huge fan of Jay-Z as an artist, and it would be cool to see how he is in real life. He seems like a sweet heart. And Beyoncé, Queen Bey as I like to call her, she's just TOO COOL. No further explanation needed. Without further ado, one of my favourites: Ellen Degeneres. 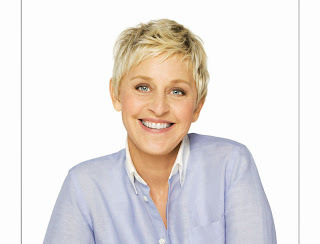 I watch her show as often as I can and I love her humour. She's so funny and one of my goals in life would be to meet her and make her life. I don't know why but it would just seem like some kind of feat. And last, but oh so definitely not least: Sandra Bullock. Gorgeous! Over the last few years she's played in more serious roles that have really showed how great of an actress she is, but I will always see her as the undercover agent in a drag show dressed in that pink and yellow outfit? Anyone remember, that is just the funniest thing and I can't imagine how much that must have made her laugh, and I would love to hear what she thought about those movies.